In the mid-90s, Seismic produced a 66mm cruising wheel for assembly with Seismic trucks on “Richter 7.1” completes, featuring slalom decks hand-built on special commission by the legendary Bob Turner. Like the rollout of the original Seismic spring truck in 1994, this plan was years ahead of its time! Seismic began pouring high-performance wheels on a larger scale in 2004, when we took over the 3dm line. The original Cambria, Avalon and Avila shapes utterly dominated international slalom racing for years. 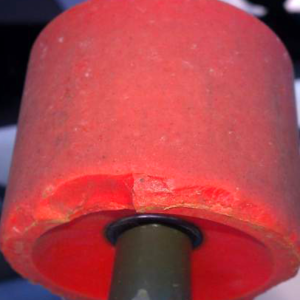 They’re still used by elite racers, cruisers and carvers around the world. 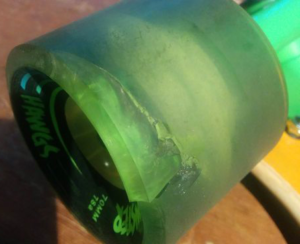 Since 2005 we’ve developed even more advanced wheels under our flagship Seismic brand, including shapes that have won numerous World Championship titles in both Slalom and Downhill racing. 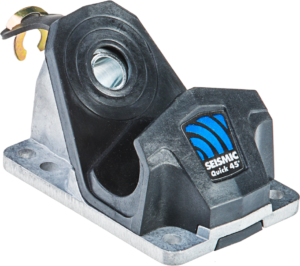 In 1993, Seismic patented one of the most original and sophisticated technologies ever developed for skateboarding. The first of the new generation of longboard trucks, it was so far ahead of its time that even we had to poke fun at it in our September 1994 TransWorld Skateboarding ad! But soon enough, our spring-loaded design inspired cheap imitations in off-road skateboards and surfing cross-trainers. 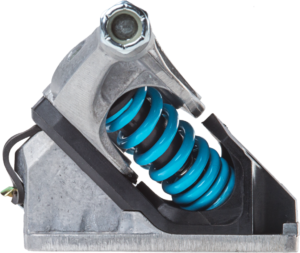 Redesigned in 2003 and again in 2015, the Seismic spring truck technology now offers impressive tuning options for the discerning skater, and advanced performance for longboarding, racing, all-purpose cruising, Old School park/pool styling, and snow/surf cross-training. Seismic springs come in seven (7) different color-coded strengths. 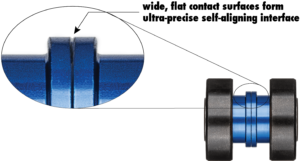 The standard pre-installed springs are designed to optimally blend turning ease, stability and resilience for the average user. Of course, what works best for you will vary depending on size, style, personal preferences, and the disciplines you practice. The Seismic metal coil springs’ rapid energy return capitalizes on your thrust-carving action more efficiently than traditional urethane bushings (which are basically primitive damping springs). The quicker the board rights itself after you unweight, the stronger you can pump. 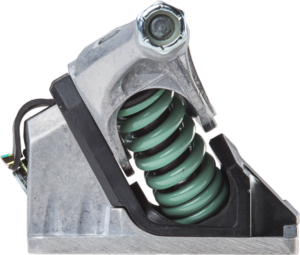 For more stability, increase spring tension, buy heavier springs, or switch to the stable-turning baseplate. 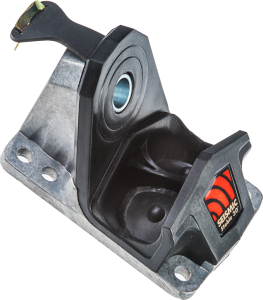 For more maneuverability, decrease spring tension, try lighter springs, or switch to the quick-turning baseplate.